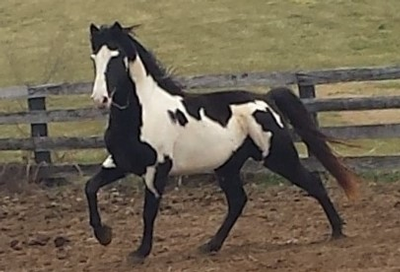 Snowy is a triple registered overo stallion by Powder River and out of an Armed And Dangerous mare. He is registered TWHBEA, NSSHA, SSHBEA. 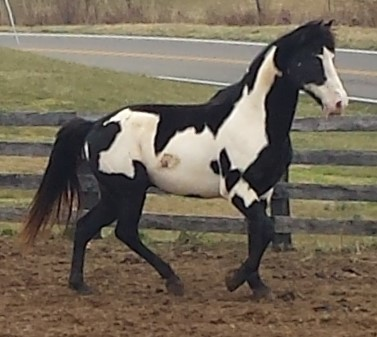 He has a pending registration with KY Mountain Spotted Horse. He has produced overo patterned foals over 62% of the time. Note, Some people don't like blue eyes, so be informed Snowy has 1 blue eye.